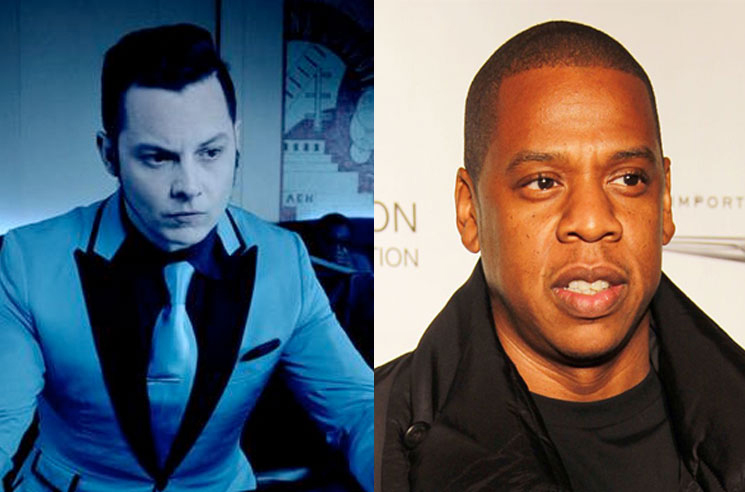 On the heels of sharing a new track from his forthcoming Boarding House Reach album, Jack White has now revealed that one of the LP's songs was once considered for a scrapped collaborative project with JAY-Z. Speaking with Rolling Stone, White recalled album cut "Over and Over and Over" as a song he's had kicking around for 13 years. In addition to trying to record it with the hip-hop icon, White had also attempted to capture it with the White Stripes and the Raconteurs. "It was sort of my white whale," White said of the track. "I chased it and chased it, and finally, all of a sudden, it worked." He also said the new album came from wanting to "take punk, hip-hop and rock'n'roll, and funnel it all into a 2018 time capsule." Boarding House Reach arrives March 23 via Third Man Records/Columbia. White shared album cut "Corporation" last night (January 25), following "Connected by Love" and "Respect Commander." He also has a phone-free tour coming up, and you can see all the upcoming dates here.